Xynellis, Christopher P., 83 of Warwick died Monday at Roger Williams Hospital. He was the beloved husband of Bessie (Doulaives) Xynellis. Born in Aghiassos Mytilene, Greece, he was the son of the late Peter and Bessie (Mystrelis) Xynellis. A long time Warwick resident, Mr. Xynellis was a restaurateur who loved cooking as much as he loved his customers. He owned several restaurants including The Town Chef in Providence and West Warwick, PJP’s Restaurant and the Norwood Grill. He was the co-owner of Christopher’s Landing. He served in the United States Navy. Besides his wife, he leaves a son, John Xynellis of Warwick; a brother, Charles Xynellis of Warwick and a grandson, Christopher Xynellis. He was the father of the late Peter and Paul Xynellis. 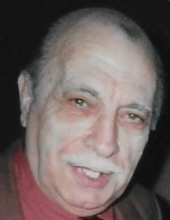 His funeral will be Monday at 9 AM from the Frank P. Trainor & Sons Funeral Home, 982 Warwick Avenue, Warwick. Funeral services in the Church of the Annunciation, 175 Oaklawn Avenue, Cranston at 10 AM. Calling Hours Sunday 3-7 PM. Burial with military honors will be in the Rhode Island Veterans Cemetery, Exeter. www.trainorfh.com. To send flowers or a remembrance gift to the family of Christopher P. Xynellis, please visit our Tribute Store. "Email Address" would like to share the life celebration of Christopher P. Xynellis. Click on the "link" to go to share a favorite memory or leave a condolence message for the family.